2/4th Bn, The Princess Charlotte of Wales's (Royal Berkshire Regiment), 184th Brigade, 61st Division, T.F., B.E.F. James Burston was born in Leigh, Worcestershire and enlisted into the army in Birmingham – at this time he gave his residence as Malvern Link. He served overseas with the 2nd Ox & Bucks Light Infantry, before being transferred to the Royal Berkshire Regiment and posted to their 2/4th Battalion. 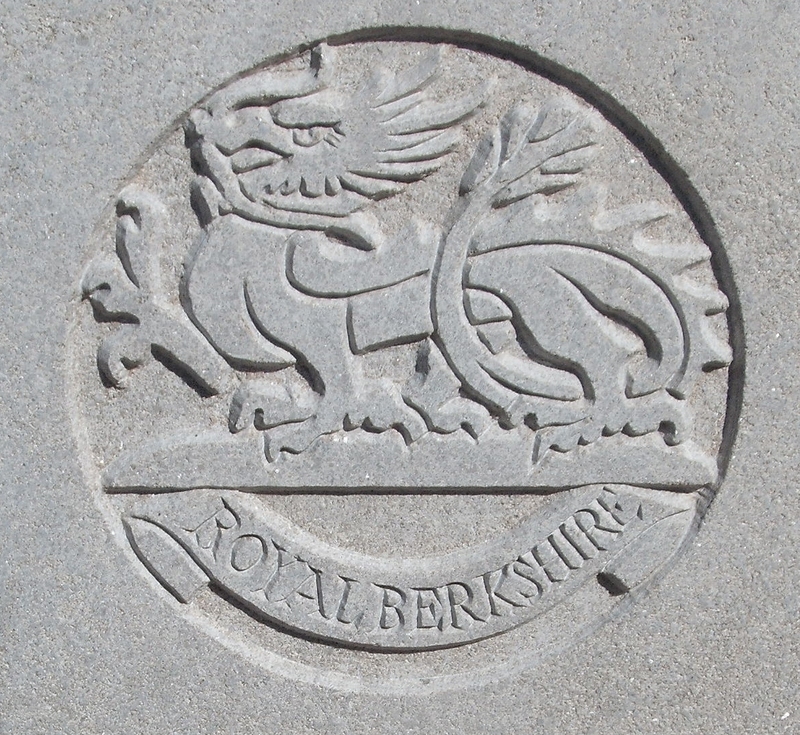 His dates of death differ according to source, almost certainly because the 2/4th Royal Berkshire Regiment were involved in heavy fighting during the opening of the Germany Spring Offensive. The Commonwealth War Grave Commission record his date of death as 21st March 1918 – the day the offensive started; the Army Register of Soldier’s Effects record his date of death as “before 27th March” the date on which the regiment last took significant casualties. Soldiers Died in the Great War record his death on 3rd April – the last possible date on which he could have been killed before the battalion moved north to the Lys Sector.